What is chiropractic and how does it benefit you? The nervous system which includes the brain, spinal cord and a network of nerves controls all communication within your body. Disruption of this communication system limits your natural healing ability and can lead to a variety of symptoms and to poor health. Chiropractic adjustments restore communication within your body improving your body’s overall function. With regular chiropractic care you will notice reduced stress and tension, and increased flexibility and energy allowing you to reach your fullest potential in life. 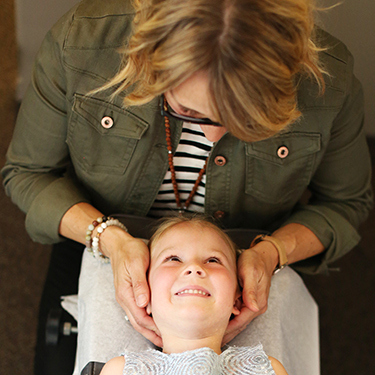 To learn more about chiropractic as it relates to specific age groups and/or specific conditions visit our FAQ page. 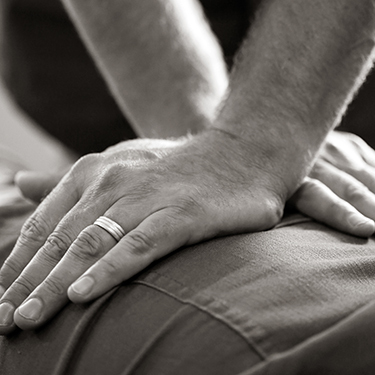 At Stratford Chiropractic & Wellness Centre our four doctors use chiropractic adjustments to correct spinal imbalances. 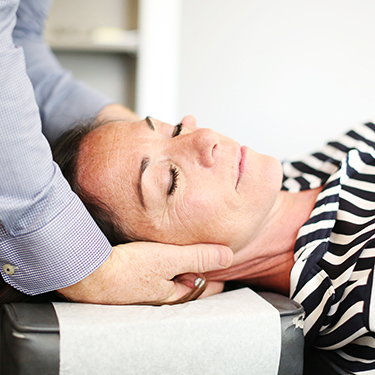 A chiropractic adjustment is a hands-on procedure that stimulates the spine and nervous system to encourage healing in that local area, and also to improve proprioceptive input to the brain. Adjustments release stress on the nervous system, and improve communication between the brain and body, and body and brain. We use mainly hands-on techniques, as well as the use of drop-table assisted adjustments and instrument-assisted adjustments depending on patient need. We are trained in, and practice a variety of adjustment techniques. These different techniques allow us to effectively address a broad range of health concerns. Adjustments are comfortable and safe. In fact, they are safer than other medical procedures such as surgery and medications. Dr. Mike, Dr. Tanya, Dr. Pip and Dr. Blair strive to ensure that their patients are comfortable and at ease during their adjustments. After an adjustment, most people notice an immediate sense of well-being, reduced stress and tension and increased energy and flexibility. Diversified : After identifying which vertebrae have lost their normal motion or position, a specific manual thrust is applied to free up “stuck” spinal joints. Thompson : Thompson Technique is a system of analysis and a special table that uses a downward “drop” which reduces the amount of energy needed to adjust your spine. 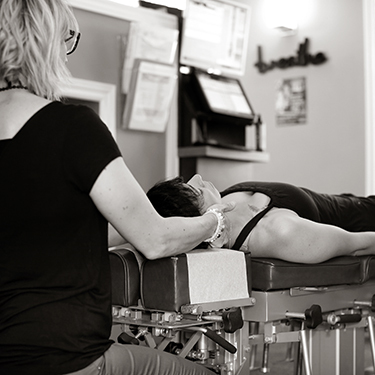 Activator Methods® : This is a system of spinal evaluation combined with a handheld adjusting instrument that delivers a consistent, low-force thrust. Logan Basic : Applying a light contact to the sacrum, relaxes the muscles and allows the “foundation of your spine” to support your body properly. Torque Release : With a gentle touch and a light thrusting by hand or an instrument called an Integrator, the brain/body connection is enhanced. EVERYONE! Adjustments can be performed on people of all ages. Our youngest patient to date was 1 hour old and our oldest was 96 years old! Newborn adjustments require only gentle fingertip pressure, and most newborns and infants will sleep through their adjustment. Chiropractic care can help prevent or reduce the effects of common infant ailments such as ear infections, colic, constipation and problems with breastfeeding to name a few. 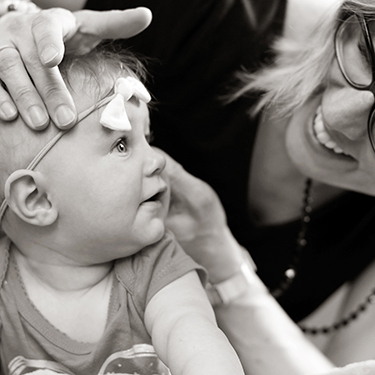 Most importantly, proper nerve function and communication improves your baby’s ability to grow and develop in an optimal way. With young children, we call their adjustments their “wiggles” and they enjoy the sensation of their spine moving in a positive way. Children love our fun adjustment tables that are just their size and you will love the positive changes in health your child will experience. 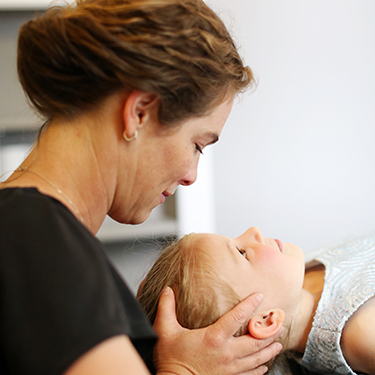 Chiropractic care can help your child with health concerns such as headaches, chronic colds and infections, hyperactivity, ADHD, bedwetting, constipation and irritability. Children who are involved in sports benefit greatly with chiropractic care. It helps to ensure balance within your child’s continuously changing body. Throughout pregnancy, a women’s spine is constantly changing and accommodating to the change in the shape of her growing belly. These changes can lead to various discomforts. Chiropractic is a wonderful and safe way to create balance and ease tension in the spinal joints during this stage, while allowing optimal communication between the mother’s nervous system and the developing fetus. Research has shown that chiropractic care helps to reduce labour pain and reduce labour time due to a properly balanced pelvis and spine. Adjustments are performed using a specialized pregnancy pillow which safely supports the growing belly. We can also modify our adjustment procedures to accommodate the elderly, ensuring that everyone is comfortable and at ease with their care. Spinal problems rarely get better on their own. Call our Stratford chiropractic office today to get started with chiropractic care!